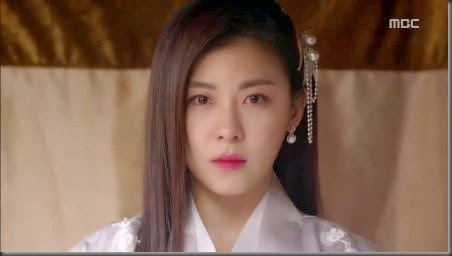 Ha Ji-won is a popular South Korean actress who is well-known world wide. She is known for her action movies and as an angel for her active social activity and charity. She still active as an actress, and has starred in many famous and popular dramas and movies. Let’s get to know the popular actress, Ha Ji-won. She was scouted by her first agency when she was a senior in high school. She failed over 100 auditions before her debut as an actress. Ha Ji-Won established her own one-person agency named Haewadal Entertainment in 2013. In 2012, she published her first book entitled “This Moment”. As part of her contract with the fashion label Crocodile Lady, she launched her own “Secret Jeans” line and designed a handbag for the brand. In 2012, she gave a lecture on movie production in China as part of CJ CGV’s cultural exchange program Toto’s Workroom. She also created an album, Home Run (2003), and released a song, You Are Zoe (2015 – feat ZE:A’s Heechul). She had won 40 awards in total since her debut. She is active in social activities as ambassador for 9 event. She does charity work, and made a pledge to donate her cornea through the Organ Donation Center of Love. .
She is the first Asian Woman and second Asian person after Jackie Chan to be named a promotional ambassador for Operation Smile in 2014. She does charity work with her fans on a regular basis, such as delivering coal to Bangbae-dong. In 2016, she donated 100 million won to help victims of ferry disaster. She is close friends with BTS’s V.
Who is Ha Ji-won’s Husband? Although Ha Ji-won is almost 40 years old, she still looks young and beautiful. She hasn’t married. She did have many dating rumors involving several of her co-stars in her dramas and films. Ha Ji-Won had been rumored to be dating Hyun Bin when they were staring in the SBS drama “Secret Garden”. Who is Ha Ji-won’s Sister? Ha Ji-Won has 2 sisters in her family, named Jeon Yoo-Kyoung and Jeon Young-Joo. Among her 2 sisters, Jeon Yoo-Kyoung has appeared on TV shows with Ha Ji-Won. Who is Ha Ji-won’s Brother? Ha Ji-won has a younger brother, named Jeon Tae-Soo, who was well known as an actor. Jeon Tae-Soo was famous for his role in popular KBS drama “Sungkyunkwan Scandal” in 2010. Unfortunately, he committed suicide on January 21, 2018 after a long period of depression. Do You Wanna Know the Latest News About Actress Nam Ji-hyun?